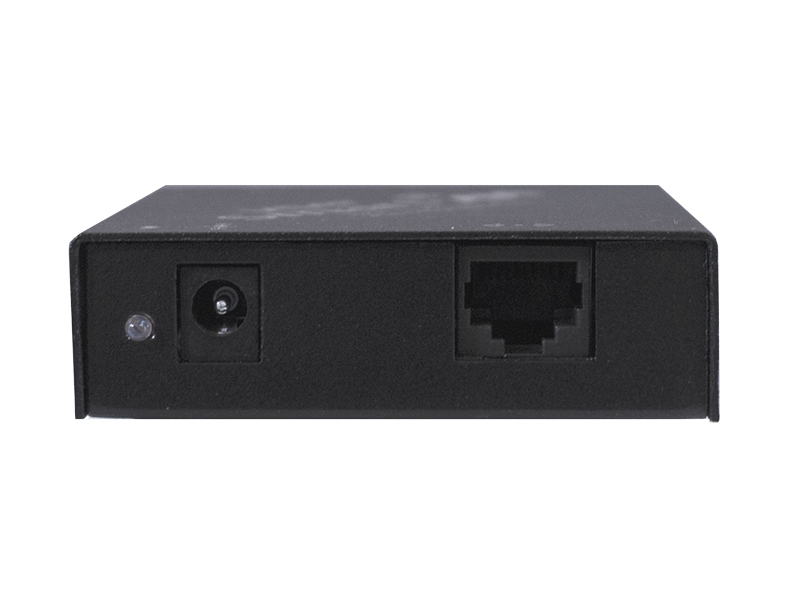 SmartAVI's VCA-100 uses a single CAT5 cable to extend high-resolution VGA video and stereo audio up to 1,000 feet away from signal source devices. 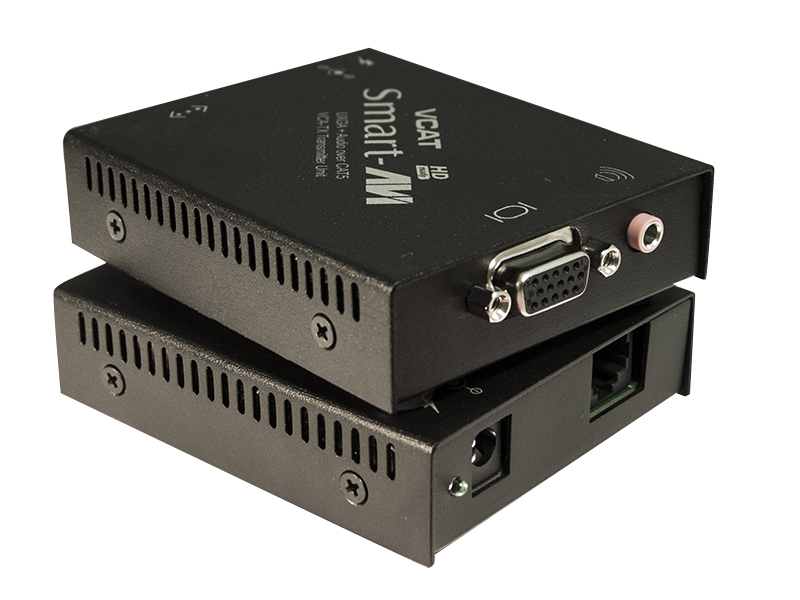 Powerful, Cost-Effective VGA Extension Solution The VCA-100 is SmartAVI's most economical and easy-to-use VGA extension model. Offering up to 1000 feet worth of signal extension between transmitter (TX) and receiver (RX) units, VCA-100 systems ensure high quality playback via a cost-efficient CAT5 cable. 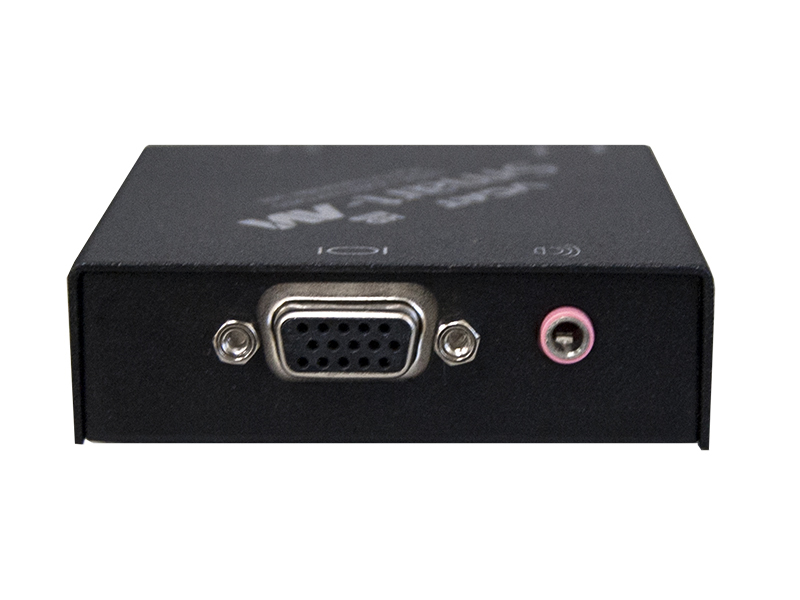 VGA Extension in Any AV Environment A great fit in a vast array of environments, VCA-100 systems excel in airports, schools, retail spaces, medical facilities, and media-centric environments of all kinds. Cost-conscious users will swoon for VCA-100's economical CAT5 cabling, and AV integrators of any technical level can install VCA-100 easily, thanks to its plug-and-play design. Sends high-resolution XVGA and Stereo Audio signals. Presentations Enhances any presentation from commercial products to corporate financial data. It can be used in show rooms, board rooms, trade shows and window displays. Data Broadcasting Data such as news, stock prices, sports results, and flight information can be broadcasted in real time to various monitors. Learning and Training Can be used in educational presentations to multiple locations, in schools and in other training facilities.